Draw the graphs of `y=x` and `y=-x` in the same graph. Also, find the coordinates of the point where the two lines intersect. RD Sharma class 9 Maths solutions is extremely a helpful resource for the preparation of exams .CBSE class 9 Maths solutions are solved by our Maths experts which leads to help all the students who are preparing for class 9 Maths examinations to score good marks . The questions given in RD Sharma Maths textbook are prepared in accordance with CBSE as per the CCE guidelines thus holding higher chances of appearing on CBSE Maths question paper. These RD Sharms class 9 Maths solutions help students in exam and in doing daily homework. In video , not only answer is explained for each questions of RD Sharma Maths text book but also concepts are also explained to each and every questions. Hope this will be helpful for all the students who are preparing for class 9 Maths exams.The solutions are arranged here chapter-wise. Select chapter to view RD Sharma solutions chapter-wise. 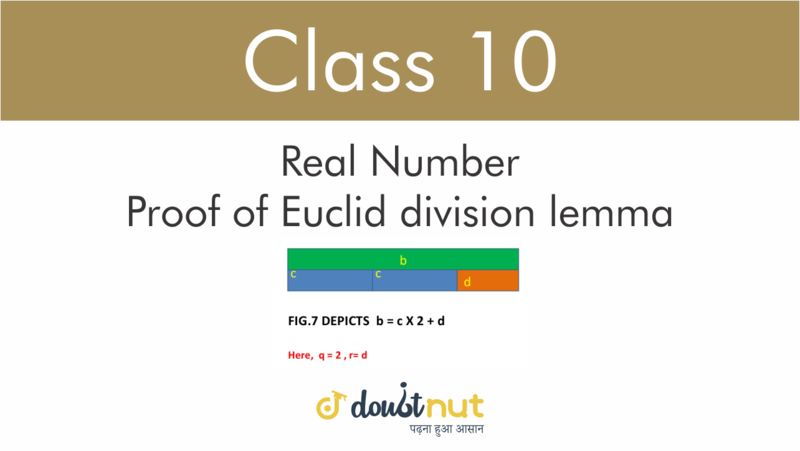 Doubtnut has provided you with the best in the market Class 9 solutions for all the Class 9 students to help them achieve better results in their education of Class 9 and thereby, achieve higher grades in their Mathematics examination, and thereby pave a better way in their educational career. Through seeking professional help from subject experts like RD Sharma, we have provided our Class 9 students with the best in the class study material that is called as, RD Sharma Class 9 Solutions that will aid our Class 9 students in their Class 9 Mathematics examination achieve higher results and thereby lay a better path for their future educational career. Henceforth, we recommend all the Class 9 students to adapt to our high standard teaching techniques used in RD Sharma Class 9 Solutions and thereby gain knowledge for their Class 9 mathematics examinations, and thereby attain higher grade marks. Many students consider the mathematics subject to be a hard subject and experience trouble in the understanding of the subject because of the lower comprehension levels. RD Sharma Class 9 Maths Solutions is offered by Doubtnut, as the best learning tool for their maths subject, which is prepared by the best in the market subject expert, known as RD Sharma. Hence, we recommend all our Class 9 students to follow the techniques, practices and examples stipulated in the book and achieve higher grades and ranks in their Class 9 Mathematics examinations. For all those Class 9 students who are seeking solutions for their doubts, we have an excellent platform for them on Doubtnut, where they can resolve all their doubts and receive clarifications on the website itself. Through RD Sharma Class 9 Maths Solutions platform, Doubtnut on its website has provided to all the Class 9 students an excellent resource from on the best in the market subject expert, who can resolve all the doubts and provide easy clarifications and solutions for their mathematics problems in Class 9. RD Sharma is a renowned subject expert who has published various books in the market on the subject of Mathematics. Doubtnut app has all the resources needed relating to Mathematics subject of Class 9, through which all the students of Class 9 can resolve their doubts in the mathematics subject and get clarifications for their doubts in the maths problems and receive solutions very easily. 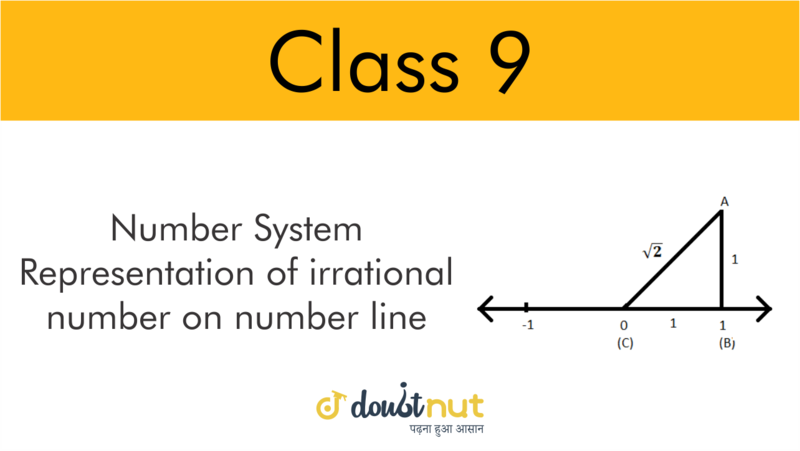 RD Sharma Class 9 Maths solutions provided by Doubtnut platform on its website, will help you resolve all kinds of maths doubts and provide you with all sorts of clarifications for your maths problems and offer you solutions very easily. RD Sharma is one of the best available subject experts in the market, using which we can resolve all our Class 9 maths queries and obtain solutions from the best in the class subject expert. RD Sharma Class 9 Solutions available on the app of Doubtnut, can resolve all kinds of queries and problems in the mathematics subject of your Class 9, and help you in achieving higher marks in the mathematics subject of Class 9. RD Sharma is one of the best subject experts in the market who has vast experience in the mathematics subject of Class 9 and also has professional experience of publishing various books in the market and has also experience of teaching Class 9 maths subject to various students of all classes for maths subject, and hence is the best option for you in resolving all your doubts and get clarifications. Hence, after knowing about the best available platform for resolving all and any kind of Class 9 Maths problems and doubts, we strictly recommend to all the Class 9 maths students to use the RD Sharma Class 9 Maths Solutions platform to resolve all their doubts and get clarifications for their doubts from our Doubtnut website. Due to our expertise in the education industry and the role that our services play in the career of Class 9 students, we strive hard to provide for Class 9 students with the best in the class services that aid our students in availing best services. This chapter plays an important role as one of the foundational aspects for the Class 9 Mathematics, for all the rest of the chapters in the Class 9 mathematics subject of Class 9 Maths RD Sharma Solutions. Hence, it should be taught by the subject expert who can make the students understand the basics in the Number System and thereby help the students achieve higher grades. This chapter which deals with Exponents, which are also termed as Powers or Indices, deals with providing the representation of a number in exponent form and also forms as the basic concept for Algebra in the Mathematics subject. Hence, the chapter needs dealing with the chapter to make the students learn all the important concepts in the subject and thereby make them achieve higher grades in the chapter. Another important chapter having concepts which can be utilized for the solving of complex functions and calculations and helps you in converting difficult-to-divide fractions into a simpler form, and thereby makes complex calculations into very easy to solve problems of maths. The chapter needs to be dealt with subject experts that make your learning easier and thereby offer you a better way to be dealt with and help you solve complex problems in Class 9 Maths RD Sharma Solutions. This chapter involves concepts that help the students in solving some of the complex and cumbersome problems in Maths. The concepts available in this chapter help the students of Class 9 achieve formulating algebraic relations from word problems. 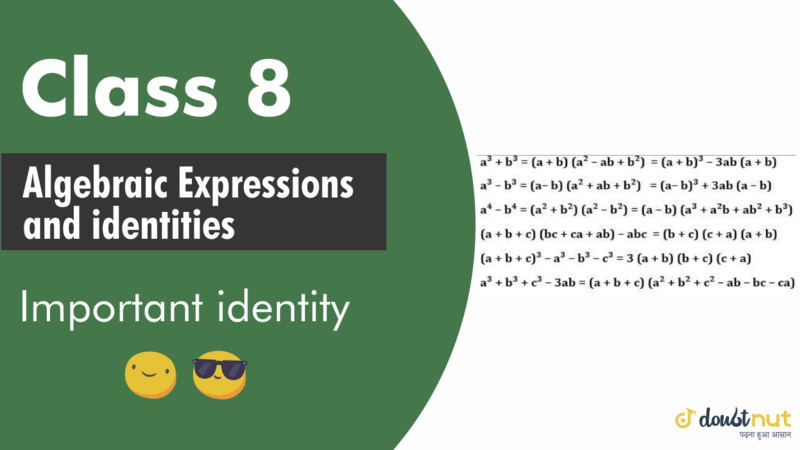 In addition to these, the students of Class 9 Maths RD Sharma Solutions will be able to learn some of the commonly used binomial, factorial and three-variable identities. The factorization chapter forms the concept of the opposite of expansion and is considered to be one of the most essential concepts for Class 9 students. The chapter is involved in a concept that is formulated on some of the previous algebra concepts that include identities and exponents. Using the concepts included in this chapter, the student will be able to factorize lengthy expressions by utilizing common factors, grouping in pairs, a difference of squares, and such other. The concept of factorization of Polynomials is a very important concept that helps Class 9 students in the latter chapters of their curriculum and thereby aids them in achieving higher grades in their Class 9 mathematics. Hence, such concepts should be dealt with proficient and subject experts that can handle an easy understanding of such complex and important concepts for the students. Lines and Angles in any and all Geometrical figure form various relations with each other, and hence, this chapter is everything about these relations and gives the student a basic glimpse of what he or she is about to deal in the future and latter classes, and forms the foundation for the latter concepts he or she is about to deal in the latter sections of Geometry in the latter classes after Class 9. In this chapter, the student will find out the different angles that the triangles form and various properties of the three angles that form like a triangle. 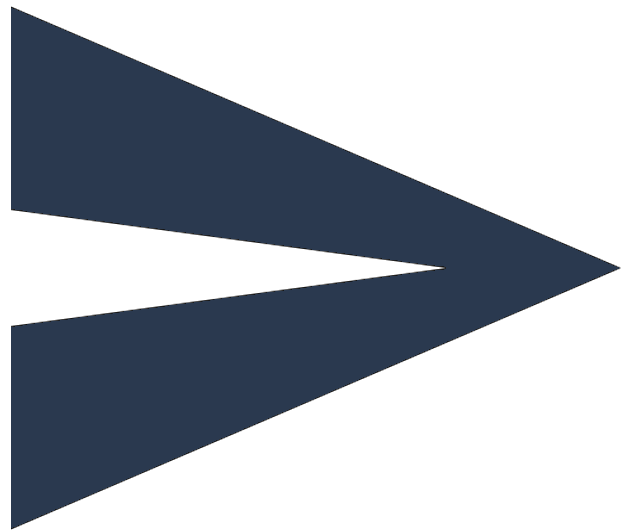 In this chapter, the student will find out how to calculate the values of these unknown angles, formed in the triangles. Hence, such an important concept of these sections should be dealt with a subject expert who has vast skill in the chapter. Using Euclidean theorems, any student will be able to prove that, any two triangular 2D bodies are a replica of each other, and in order to gain such knowledge, the student should study the chapter of Congruent Triangles. Only then can the student identify the features that state the similarities between two triangular 2D bodies that represent the similarity between the two objects and shapes. Cartesian Coordinate Geometry is named after the renowned international mathematician, Rene Descartes, who is the formulator of the concept. In this chapter, the students will learn about the rectangular coordinate plan and various methods that help in finding out the distance between the two points in the same. In such circumstances, when the students are only having the information about the length of the sides of a triangle, this chapter discusses such formula which helps in finding out the area of the triangle, of which only the information on the length of the sides is only available. In addition, this formula also is helpful in finding out the areas of quadrilaterals. Obviously, for no other reason, any person faces such a situation where he has to deal with a straight line and find out its measurements. This chapter helps in all such situations, through learning the student on how to present the geometric representation of various straight line equations. In this chapter, the students will be able to learn about the various properties of a quadrilateral and the various relations between angles. In this same chapter, the students will also be able to learn the different formulae that can be used to find out area and volumes of different quadrilaterals with different measurements. In this chapter, the student will learn about the various formulae and other tools using which the student will be able to learn about the methods that he or she can use to find out the areas of various triangles, area of a right-angled triangle and other parallelograms like Rhombus and Trapezium. In this chapter, the student, as in the earlier sections, they found out the various formulae and methods that they can follow to find out the various measurements of triangles, straight line, parallelograms; in this chapter, they will learn about the various formulae used for finding out properties and measurements of a circle. Through this chapter, the students will be able to learn about the skills and techniques used in constructing geometric figures, just by using a compass and a scale. In addition to this, they also learn about the construction of various angles, bisect lines and the process of inscribing triangles into figures and also learn much more. In this chapter, the students will learn about the formulae and methods that can be followed to calculate and find out about the different measurements of Cuboid and Cube such as Surface Area and Volume. The techniques learned in this Chapter are useful for the students in securing higher grades successfully and thereby attain higher grades. The concept of a right circular cylinder is very important in other subjects also, other than in mathematics, as this is explained in many other concepts in other subjects like Physics and Chemistry. Hence, the learning of this concept is useful to all the students of Mathematics in Class 9. Through the concepts learned in this chapter, the student will be able to learn about the different formulae used to calculate the volume and surface area of a right circular cone. Hence, this chapter is essential for Class 9 Mathematics students. This significantly important chapter contains concepts that have various implications on the further chapters. Hence, it is important for students to learn this chapter very importantly. This important concept in Class 9 Mathematics is the science of collection, presentation, analysis and interpretation of numerical data, and the application of this concept is applied in various other fields. In order to understand the relationship between variables in a more elaborative manner, the graphical representation helps the students through visually representing huge volumes of statistical data through graphs. This chapter completely deals with different measures of central tendencies such as Mean, Median and Mode, using which you can identify the location of maximum number values in a distribution. This chapter is also very important and has some very vital concepts that should be seriously considered important by the students of Class 9. The concepts explained by RD Sharma on Doubtnut website play a vital role in the career of student life through offering them an easy explanation and thereby providing them with an easy understanding of the concepts included in the Class 9 Maths. The RD Sharma Class 9 Solutions offers to the students a better platform called RD Sharma Class 9 pdf for the understanding of the Math concepts included in the curriculum of Class 9 Maths RD Sharma Solutions. Hence, we strongly recommend all the students of RD Sharma Class 9 pdf to visit our Doubtnut website and reach our destination platform to download the best source, which is RD Sharma Class 9 pdf.